Click here for the BackTrack Review. Percy William Pilcher was born in Boston, Lincolnshire, on 5th July 1866, the elder son of William John Pilcher FRCS and Margaret (nee Westland). He was educated in Boston for four years, but from 1879 to 1884 he was educated at Bath College from where he graduated to Caius College, Cambridge, to read medicine, changing to music and gaining an MA in 1892. He rowed for Bath College and Caius College, and he also stroked for Caius 1st VIII. Pilcher continued his musical studies as a pupil of Sir Frederick Bridge, organist at Westminster Abbey, and in 1890 took up the position of organist at St. John the Evangelist, Hammersmith. In 1892 he became organist at the Abbey Church, Shrewsbury, a position which he held until 1919. In 1895 he married Martha Mowbray Harwood and they had four sons. At some time prior to 1916 he appears to have taught as a 'locum' at Shrewsbury School under Doctor Alington and in 1918 he was brought on to the full-time staff by Canon H.A.P. Sawyer. Thus he realised one of his most cherished ambitions, becoming Master of the IVth Form, teaching 'form' subjects together with music until his retirement in 1935. His photographic expertise was utilised by the school, and many photographs of school events and groups were taken by him throughout the twenties and thirties. All are still meticulously filed and indexed in the school library. In addition to his music and photographic interests, his most absorbing hobby was his workshop. He had mechanical knowledge, skill and ingenuity, producing model locomotives and designing and making his own cameras. It is impossible to date the beginning of his interest in photography, but his earliest railway photographs appear to have been taken in 1881 in the Boston and Grantham area. He was one of the earliest photographers to capture moving trains, his first being recorded in 1889 when he was an undergraduate at Cambridge. Upon his arrival in Shrewsbury in 1892, however, his railway photography appears to have begun in earnest. The sheer profusion of locomotives to photograph at the jointly owned station, belonging to the two largest railway companies in the country, must have inspired him. Both the LNWR and the GWR companies conspired to relegate their older engines to this area, but by contrast they also sent their most modern engines to Shrewsbury. The quality of his photographs is second to none, and to see his collection of glass plates in the National Railway Museum makes anyone who is interested in railways, and the LNWR in particular, extremely grateful that he took up an interest in photography and that he pointed his camera where he did. 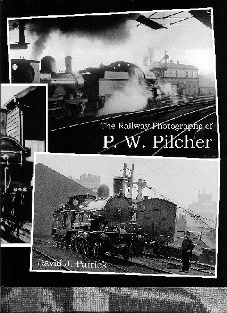 His railway photography displays flair and an innovative nature, the use of low lighting, 'panning', a search for different angles from which to photograph the subject, and consequently, displaying details not otherwise caught on camera, were all part of his repertoire.